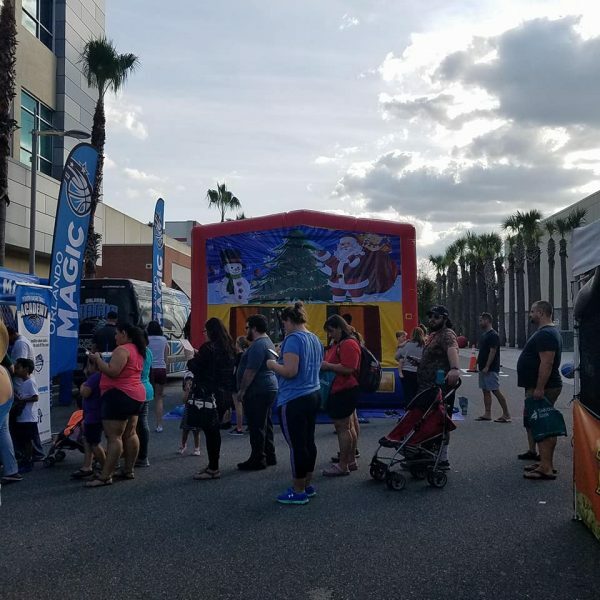 The Christmas Themed Bounce House is a play house with a licensed themed banner. The banner is a licensed product from Ninja Jump. 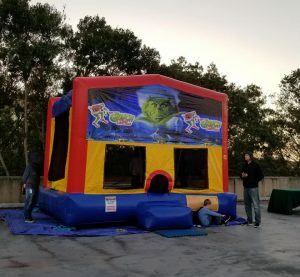 The step is helpful for assisting with kids exiting and entering the ride. The inside of the front of the unit has a safety net. We offer several different themed banners for Holiday parties including The Grinch, Penguins, Snow themed, Frozen, and Christmas.